The diagram shows an equilateral triangle inside a rhombus. 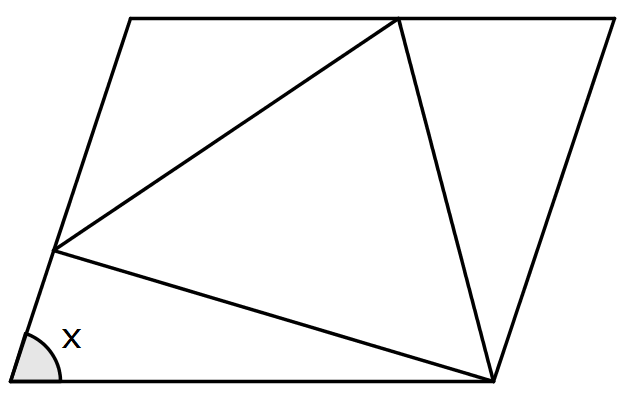 The sides of the rhombus are equal in length to the sides of the triangle. Regular polygons and circles. Angle properties of polygons. Angles - points, lines and parallel lines. Mathematical reasoning & proof. 2D shapes and their properties. Triangles. Similarity and congruence. Pythagoras' theorem. Resourceful. Visualising.